Taille de cet aperçu PNG de ce fichier SVG : 512 × 373 pixels. Autres résolutions : 320 × 233 pixels | 640 × 466 pixels | 800 × 583 pixels | 1 024 × 746 pixels | 1 280 × 933 pixels. Türkçe: Türkiye'ye ait pasaportlarda, nüfus cüzdanlarında ve dış temsilciliklerde kullanılan ay yıldızdan oluşan Türkiye arması veya amblemi. 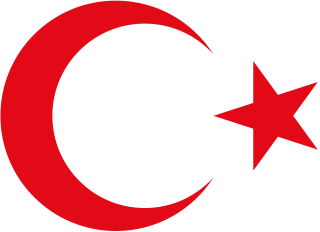 English: Turkey has no official coat of arms, this star and crescent is being used on passports, ID cards, driving licences, embassy signs, seal of the presidential office, seal of the TBMM and the seal of the Ministry of Foreign Affairs. actuel 24 février 2018 à 14:48 512 × 373 (859 o) Jelican9 It is organized according to legal measures.